Protection Cheveux Complexe, PCC what is that? Thank you very much to Coiffure Winter for pampering me and making my hair look nice again. 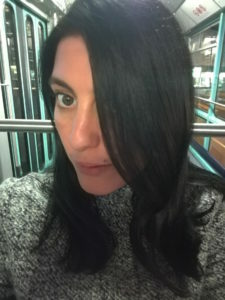 I went to her salon in order to trim my hair and color it back to my natural hair color: dark brown. Since I had several drastic color changes in the last two years, my hair ends are really dry. 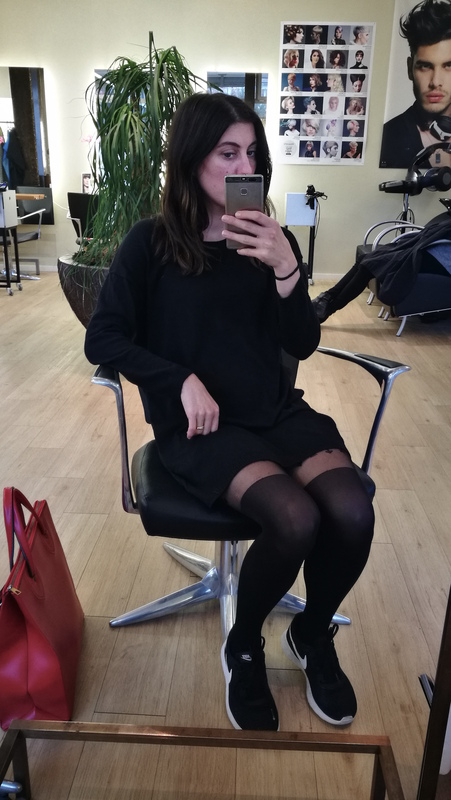 In order to make my hair look healthy again I wanted to try the new PCC treatment by La Biosthetique. Here is what I found out about it. 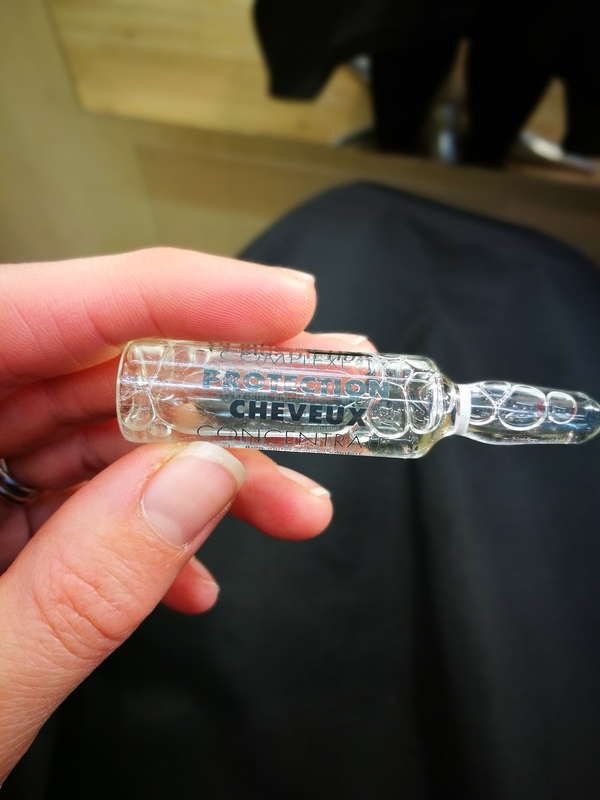 Protection Cheveux Complexe is a new dimension in hair cosmetics. A real milestone in research and development from La Biosthétique. The revolutionary active ingredient complex protects, restructures and conditions the hair both inside and outside during and after chemical treatments. The hair structure is lastingly renewed, the hair is conditioned and sealed and regains its natural beauty. PCC claims to be the new formulation to combat hair breakage. Bleaches, colour and perms all have one thing in common; to achieve lasting results, certain structures in the hair have to be broken. Bleach decomposes the natural hair colour, whilst colour deposits new pigment and Perms change the structure and shape of the hair. 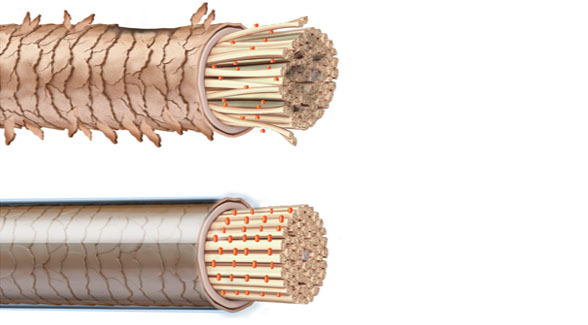 The network in which keratin, the hair’s most important building block, is embedded, has often breaks in some parts which make the hair more sensitive and weaker in certain areas. PCC’s innovative formulations were created to avoid precisely this side effect. They now make the impossible possible. A concentrated molecular protection complex fills gaps inside the hair’s network, known as sulphur bonds, during the processing time of bleach, colour and perms, and deposits new keratin into these gaps or breaks in the structure. The results are proven to significantly reduce hair breakage, much stabler, more resistant hair. healthy and naturally beautiful hair. Protection Cheveux Complexe, PCC, is performed in three steps. Complexe 1: Concentrate is added during the chemical treatment to restructure and protect the hair. Complexe 2: After the chemical treatment there is a restructuring and protective conditioning application with Complexe 2 Spray + Mask Intense. Complexe 3: Continue the protection and care at home. Regular home application of Spray and Mask Vital/ Volume after the salon treatment ensures the results of Protection Cheveux Complexe last a long time. It guarantees exquisite shine, strong elasticity and sleek body.